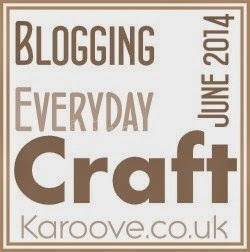 Melusberry Crafts: Blogging Everyday in June - Day 11: Three Wishes. Go! Blogging Everyday in June - Day 11: Three Wishes. Go! It's Day Number 11 and I have three wishes to think about... where do I start?! Day 11: If you had three wishes what would they be or craft something to celebrate a new home. Happiness - My friends and family are now at places in their lives where they're happy in their lives, they're either engaged, moved house, got new jobs or found people who make them happy which is pretty awesome and I'm really proud of my friends and family for finding happiness. Love - Last year, this was borderline for me and I wasn't quite sure if I was essentially ready for it, but I'm really glad that I turned that opinion around as I've found someone who I love and completely adore and I'm ridiculously and overwhelmingly happy having a really amazing man in my life. Even though the majority of my friends are happy now, I would like this to continue right into their future. Having families, moving to possibly bigger spaces and enjoying new adventures with their new families as well as spending time with their old friends too. This is pretty borderline with me. I like the idea of travelling, but the flying scares me. I developed this weird irrational fear of planes - no idea why, but I wouldn't mind visiting a few countries over the course of the next few years and see how many countries I can maybe tick off. For a while I've been talking about developing my own online business. This has been in my mind talking to me for aaaaaaggggeeessss and it's only now I'm actually physically doing something about it. It will centre around crafts, papercrafts, handmade products and embellishments, so I'm still working on ideas, products to develop on and business planning! Starting online first and working slowly up.. An entrepreneur, me? Fingers crossed! Thanks for visiting the blog today, here's to Day 12 tomorrow! Thanks Kairen! I hope so too! Fingers crossed! Great wishes Mel, especially the 3rd one....that would be so fab!